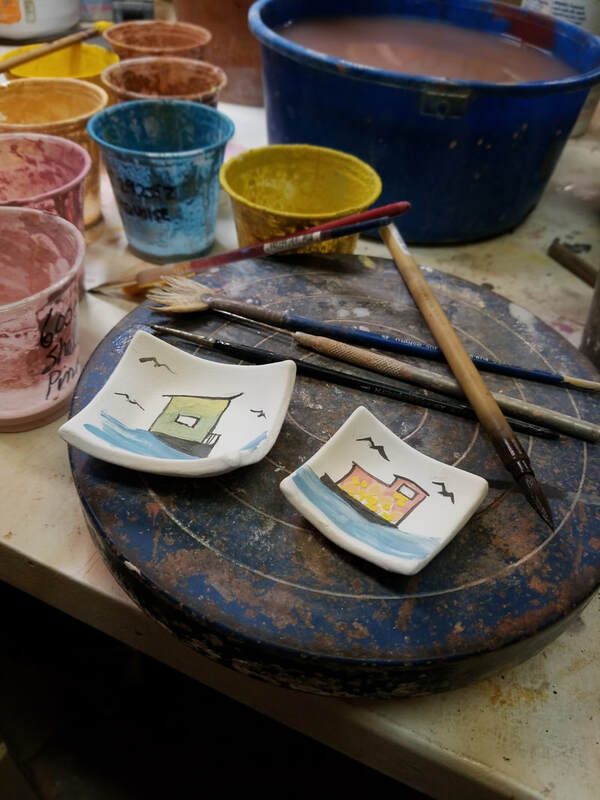 Last Sunday I lead a workshop at Studio 333 in Sausalito. 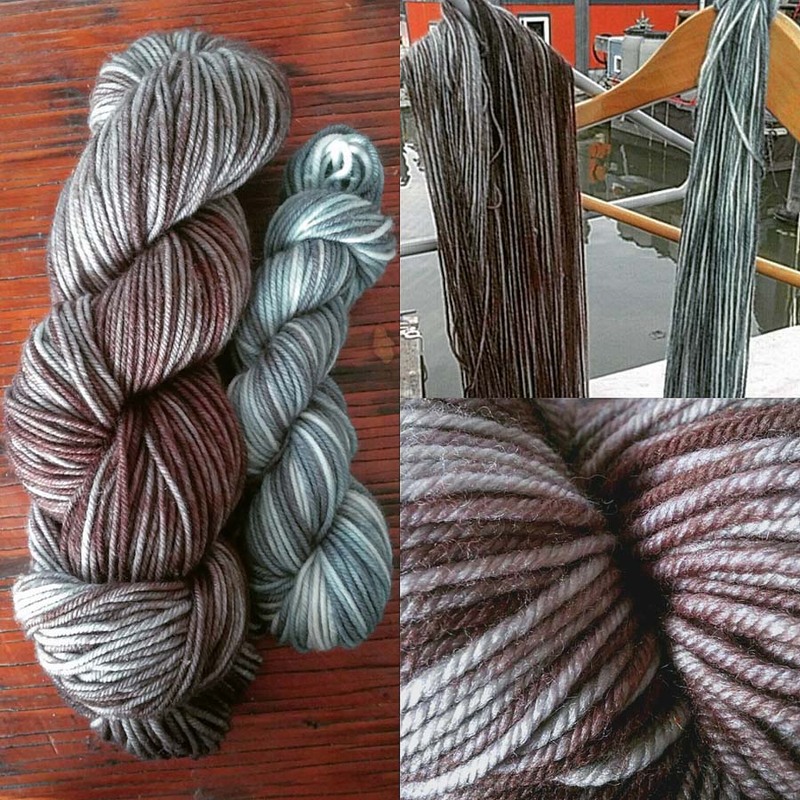 I demonstrated how to make the yarn bird ornaments. The idea is based on a tutorial for similar birds which stood on wire feet. I created this ornament version because Studio 333 was looking for some unique handmade ornaments for the holidays. My students had a great time, and all succeeded in making some fantastic little birds! I will be teaching this workshop again. 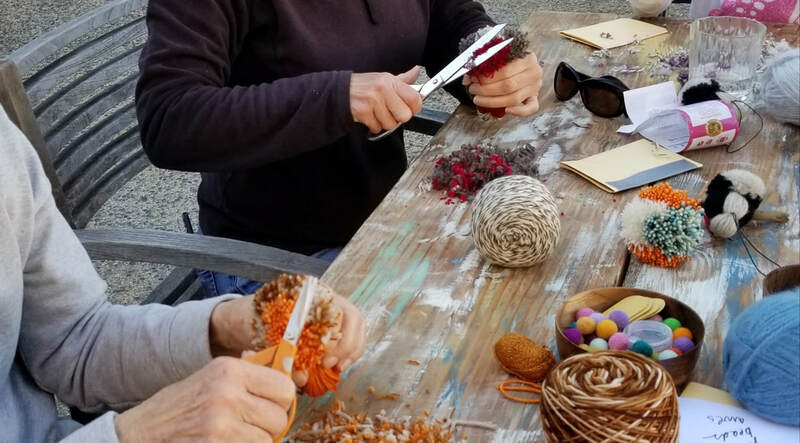 Click here to Like Studio 333 on Facebook and learn about more workshops they are hosting, from finger knitting blankets, to paint pouring. I'm available to do bird-making workshops at private parties too. Contact me for info. Did you know a group of finches is called a "charm of finches?" 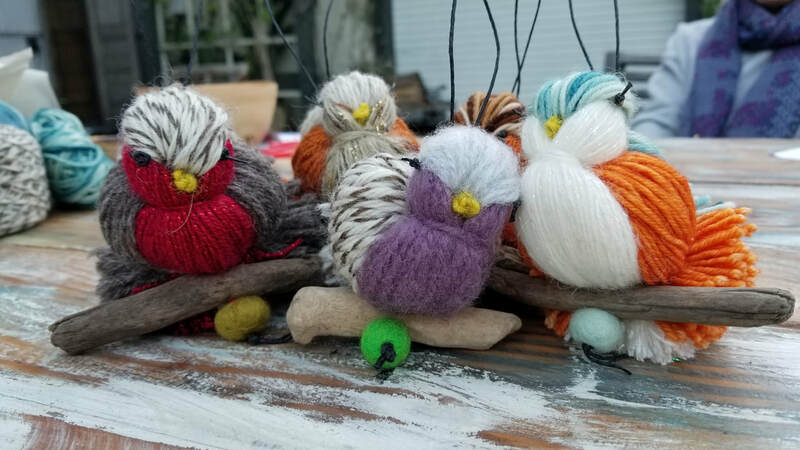 Last year I was looking for some inspiration for making holiday ornaments, then a friend shared a clever tutorial for birds made with yarn, which she had found online. I adapted the template to make the free-standing birds into hanging ornaments. 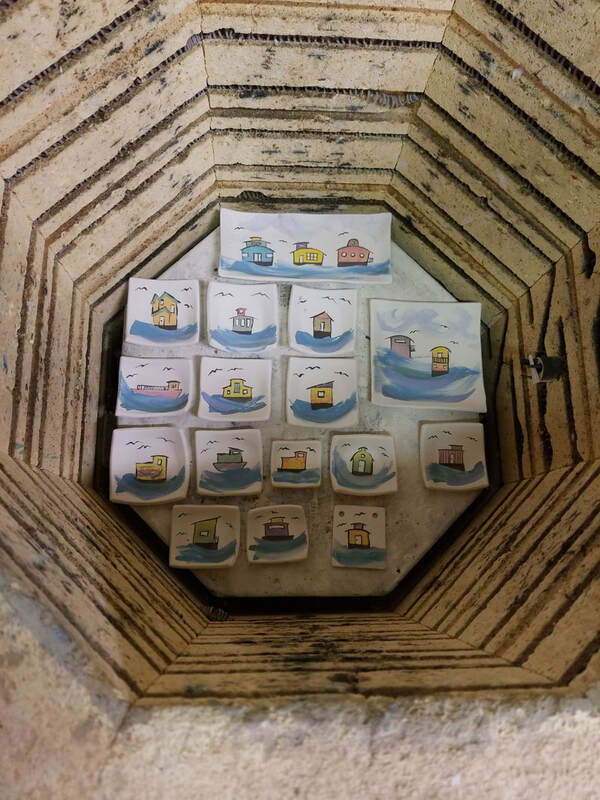 I and sold them at the shop in Sausalito where I sell some of my other work. 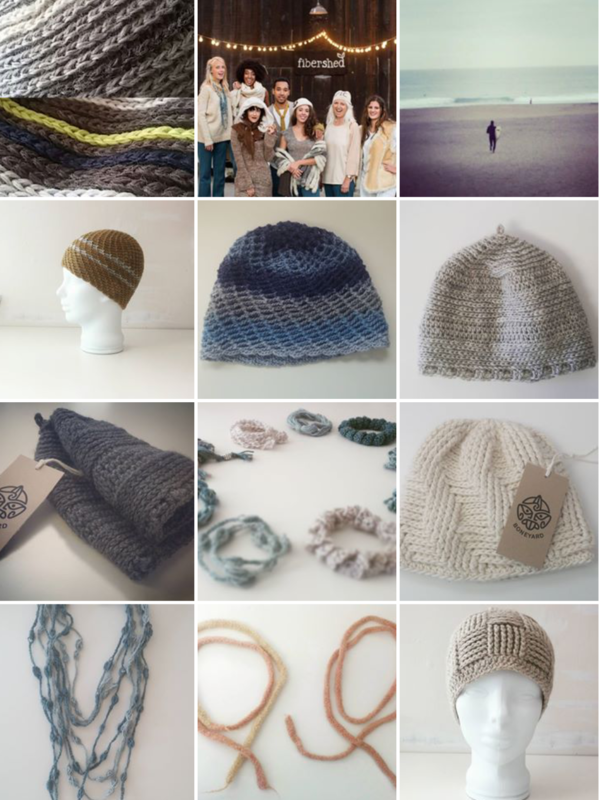 This past month I had an order for 18 from a store in Boonville, CA called Farmhouse Mercantile. 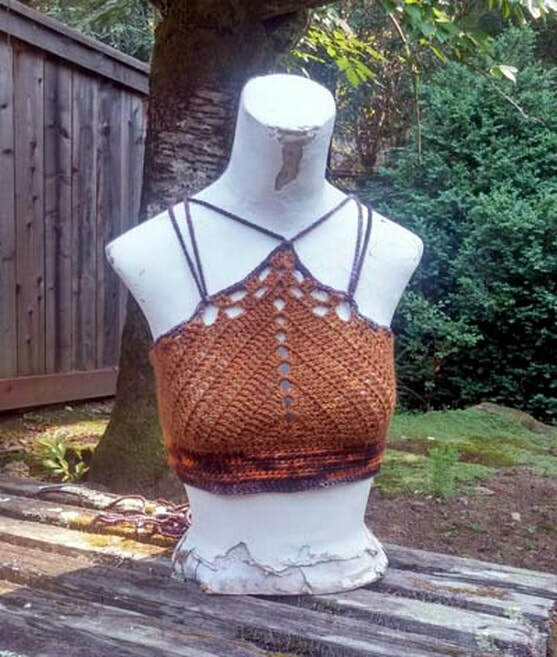 When you walk inside you feel like your are in an old fashioned mercantile, where you can buy handmade soap, honey, cookware, aprons, toys, and many other charming goods. 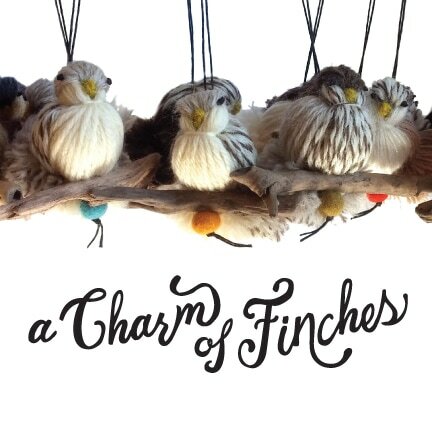 Next time you're driving through Boonville stop in and see my "Charm of Finches!"